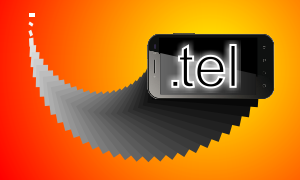 On 15th October 2013 long numeric-only .tel domains will be available for registration by companies and individuals on a “first come first-served” basis. Approved numeric-only domain names will include names with the number of digits ranging from 2 to 63 with or without hyphens (with the exception of domain names with hyphens in the third and fourth positions, e.g. 22–2.tel). Single-digit domains will not be made available for registration. Domain name applicants interested in registering long strings of digits as domain names will be able to do so starting 15 October. With this .tel domain expansion, registrants will have a wider array of domains to choose from including both .tel names and .tel numbers. Knowing the company name or phone number will suffice to make quick online contact. Mobile-friendly application make .tel domains a great resource for anyone looking for targeted information such as a phone number, web site, e-mail address or blog. Don’t miss the chance and register the .tel domain of your own. To check if the .tel domain of your choice is available, enter the name or number in the box below or contact our Web Solutions’ Support Team on support@web-solutions.eu.